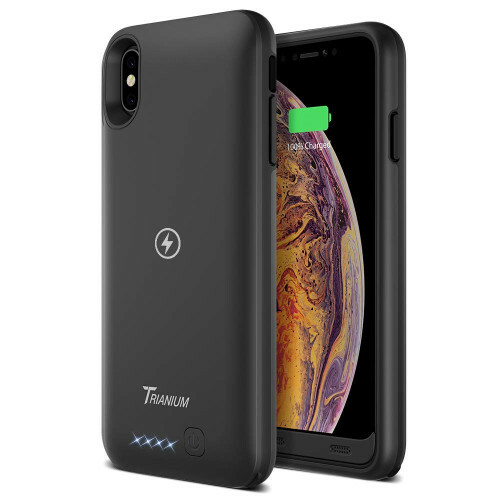 [Compatible ONLY with iPhone XS Max] Features an ultra-powerful 3500mAh battery capacity for double the talk time, video streaming, and web browsing experience. COMPREHENSIVE DESIGN - 360 comprehensive bumper design and polycarbonate hard-shell backplate. Protect your phone against scratches, bumps, and every day wear and tear. WARRANTY - Trianiums iPhone XS Max battery case is backed by our lifetime warranty to ensure our products work the way you need them to. USER NOTE: 1. Work with Apple stock lightning cable and direct-connect Earpod, Airpod, Bluetooth headphones or any other wirelessly connected headphone accessories. 2. The case can wirelessly charge your iPhone. In addition, the battery case can be wirelessly charged alone and/or with both the phone and battery case equpped. 3. To recharge your battery case, you must use the included micoUSB cable through a usb power adapter or a wireless charging accessory. 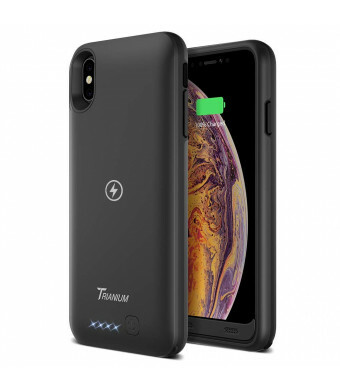 The new Atomic Pro Wireless Charging Battery Case for iPhone XS Max / 10s Max (6.5) is designed to improve the performance and the battery life of your iPhone. Get the most out of your mobile experience featuring its powerful 3500mAh battery capacity with wireless charge-enable,extending the life of your iphone up to a total 30 hours*. Ready to fit into your busy lifestyle with more battery life, talk/browse time, and phone protection. 360 comprehensive bumper design and polycarbonate hard-shell backplate. Protect your phone against scratches, bumps, and every day wear and tear.